Just when you thought exfoliating couldn’t get any better they invent the very handy, very effective exfoliating bath gloves for the body. What is an exfoliating glove you may ask? It’s only one of the best inventions for skin cleaning out there. Instead of simply using scrubs with just your fingers, you slip these gloves on, use your favorite soap or body wash and get a good lather and start scrubbing away. These gloves are very sturdy gloves that can be adjusted to fit over your hands to keep them from falling off during your scrubs. They are lightly textured to effectively exfoliate the layers of dead skin cells and impurities on the body. As a result, you are left with incredibly soft, smooth skin that is radiantly clean. These gloves are also very effective for skin circulation and cellulite reduction. Some people tend to neglect the body when it comes to exfoliating. A washcloth is really not sufficient enough for deep cleaning the body’s skin at this level. Just like exfoliating the face to reveal younger looking skin so does the same for body scrubs. These gloves are convenient for use and are mainly designed to be used in the shower. When you exfoliate using your fingers you can miss areas of your body, not to mention the slight strain it might put on them. Not to say that exfoliating with your fingers aren’t great but the gloves will enable you to reach a larger portion of your body without the strain and tiredness that can come with using your hands. How often should you exfoliate the body? Well, these can be used every day as part of your beauty routine. Just make sure not to scrub too hard or it can make your skin sensitive, red or slightly irritated. You should apply just enough pressure for an effective exfoliation. You might notice that during this scrub a lot of dirt will be left on the shower floor. This is evidence on just how effective the exfoliating glove is. 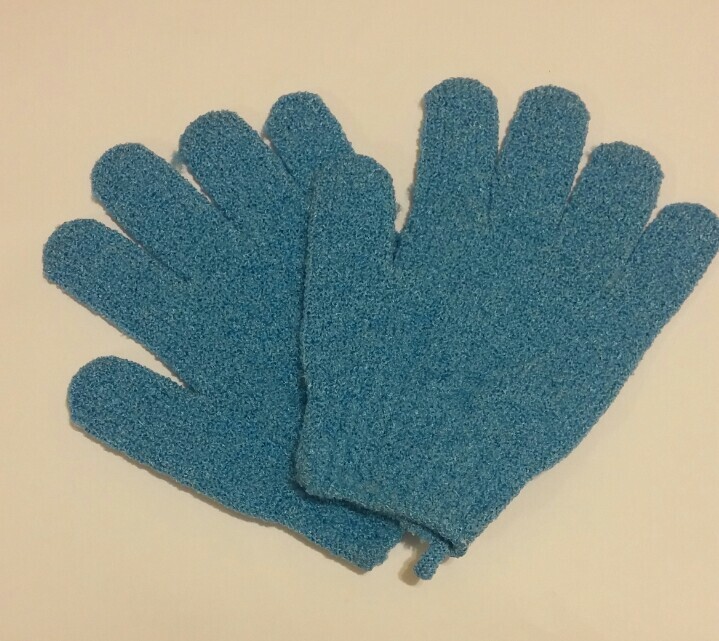 Exfoliation gloves are a great improvement for skin scrubbing. I highly recommend them and in no time you will start to see just how beautiful your skin truly is.